In the Real world, JAVA is now important language so, All of the developers being worked on JAVA programming language. 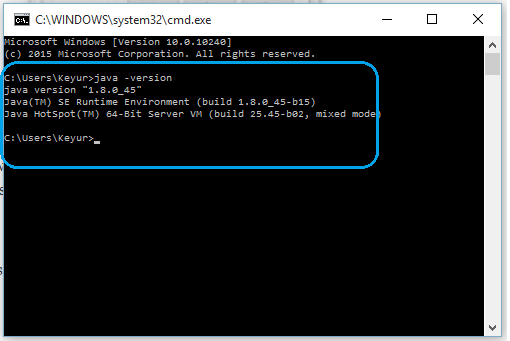 Lot’s of people using JAVA Programming Language so, There is need set Java Path so, I put here the full tutorial for Set JAVA Path in Windows 8/8.1/10. 1.0.0.1 Step-1: Download JDK or JAVA from It’s Official Site. 1.0.0.2 Step-2: Now Setting the Environment Variable in Your Computer. 1.0.0.3 Step-3: Then, In Environment Variable Setting . 1.0.0.4 Step-4: Check The JAVA Path is Working or Not. 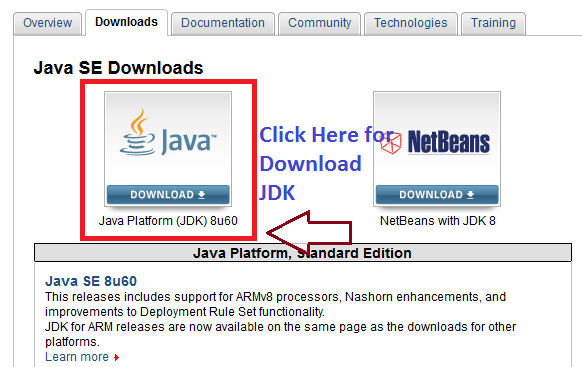 Step-1: Download JDK or JAVA from It’s Official Site. 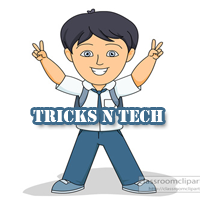 Download JDK setup file by Click Here. After that Accept License Agreement of that JDK Setup File. Now After Install the JDK at Prefered Location in Your Computer. 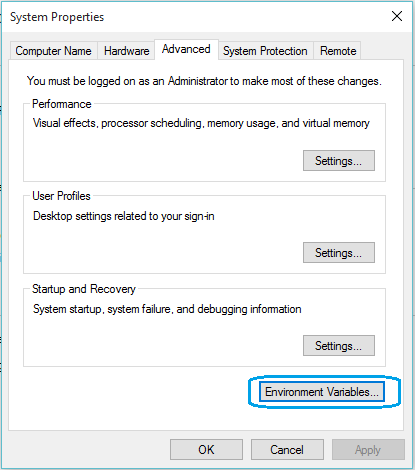 Step-2: Now Setting the Environment Variable in Your Computer. Click on My Computer Then open System Properties. in System Properties Go to Advance System Settings. After that Go to Advance Tab. 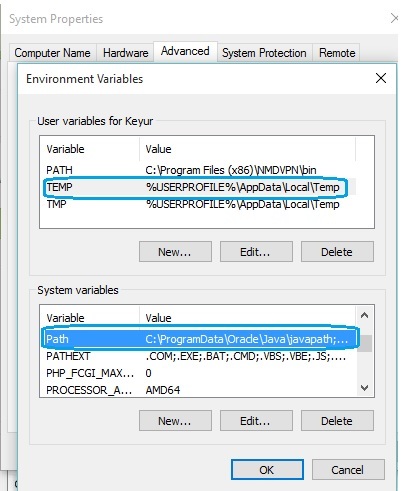 Step-3: Then, In Environment Variable Setting . Click on Temp in User Variables. 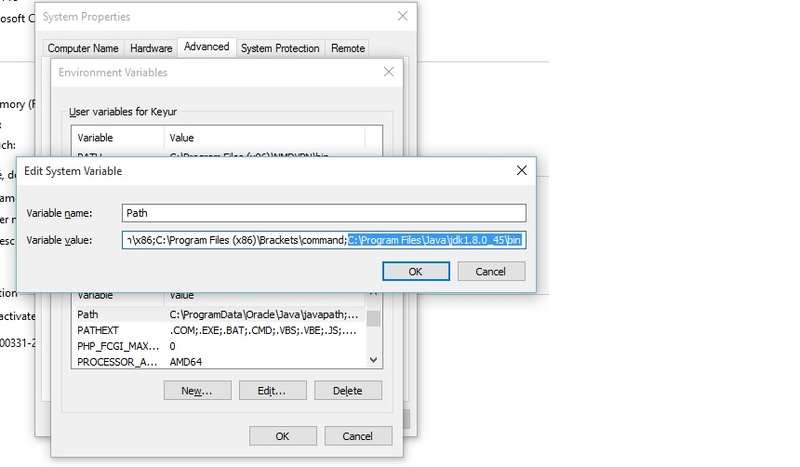 Minimize It and Go To The JDK Path Location which is Locate in Your Installed Drive in My Case I installed JDK in C drive. After Copy into whenever Double Click There is Open Edit System Variables Dialog Box Paste This Path in Variable Value Box. and Then Press OK and Save the All Things. Step-4: Check The JAVA Path is Working or Not. 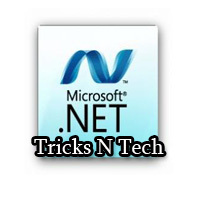 in CMD write java -version Then Press Enter. If There is show your version of Java then, You Done This Tutorial Successfully. 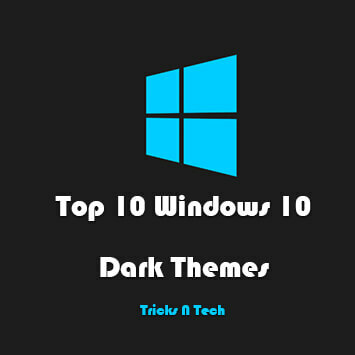 If It’s Still Doesn’t Work This Tutorial with you Then, Comment Here I will Help You. Thank You. You May Also Like This - How To Recover Deleted Contacts from Android Device?